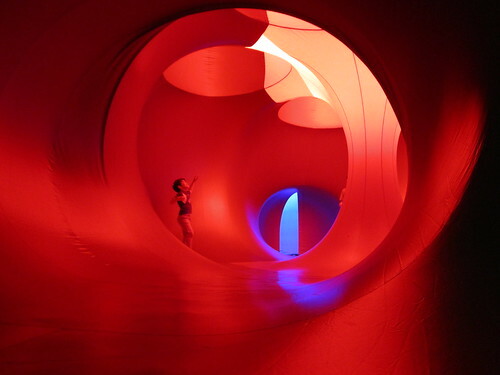 As a birthday treat we visited the Luminarium by Architects of Air in Nottingham yesterday. This amazing pneumatic sculpture is like visiting another planet. We were bathed in amazing light and followed the winding tunnels while ambient music played. This is a very happy and chilled place. Its a must see kind of place.